Work simultaneously on both platforms with our integration so you don't have to choose! If you're using Trello, you're used to their Kanban way of doing things but it also has its cons. You want your projects to be actionable so being able to see the planning stages vs execution is where monday.com comes in. monday.com also gives you and your team the big picture which is what Trello lacks and may make your projects feel a bit overcrowded. When you sync your trello boards automatically to monday.com, you'll see your projects at a glance, plan visually on a timeline & and prioritize what's most important. Starting a new project with a new team that uses Trello? 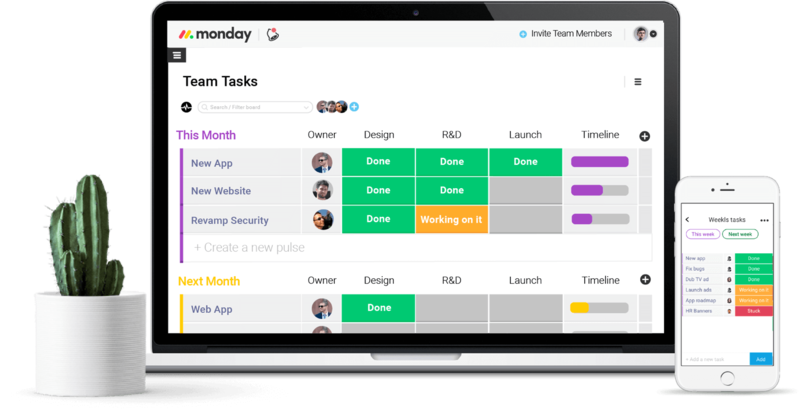 Now you can use monday.com to show the bigger picture and link your weekly tasks together. Are you looking for a Trello alternative?